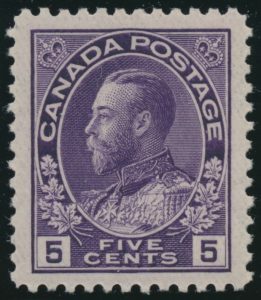 Lot 279 Canada #112a 1924 5c violet Admiral on Thin Paper, mint never hinged, fresh and very well centered among four even margins, extremely fine. 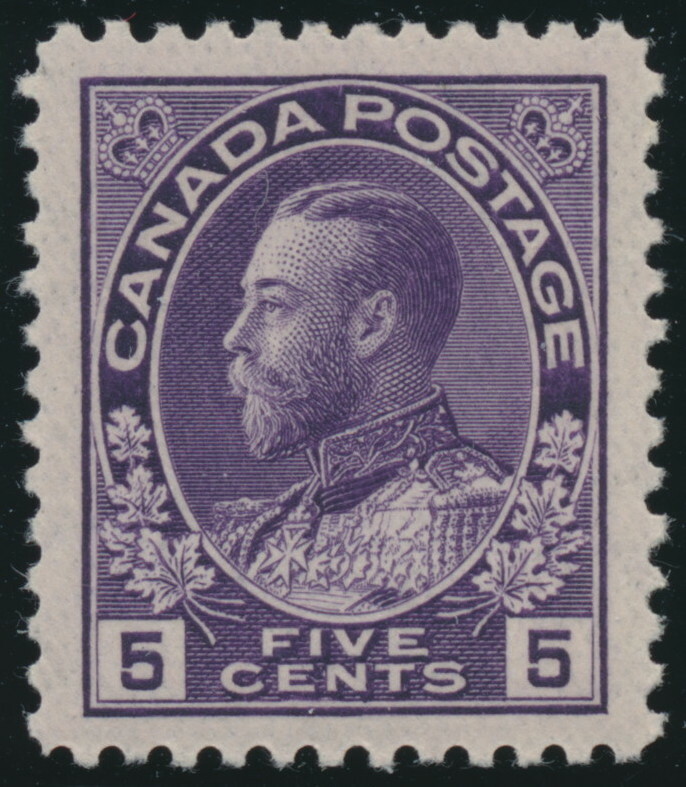 A very nice stamp. Unitrade CV$150, sold for C$120.00 plus 15% buyer’s premium.